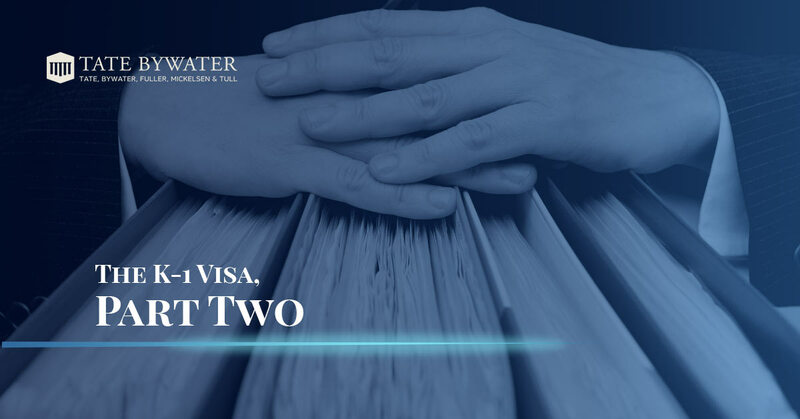 In part one of this two-part series dedicated to helping those interested in understanding the K-1 Visa process, we set the stage for the payoff, which you will find in today’s post. In sum, we supposed that you moved to Spain to teach English for a year. During that time, you met and fell in love with a European woman. You decided to move to the United States of America, and it fell on you to figure out what the process of getting her over here in a permanent way involves. As it turns out, it’s far from a straightforward process, even with the wealth of information available online to folks who need it, just like you. In part one, there existed some additional, personalized context you could familiarize yourself with if you felt so compelled. But we are essentially on the same page in terms of getting to our point — breaking down the K-1 Visa. K-1 Visas are issued to petitioners of U.S. citizens. That is, fiancées or fiancés of citizens of the United States (you) petition to be able to marry their betrothed within 90 days of arrival into the States. That condition is a fundamental component of the K-1 Visa. If you do not, you must leave. Another important point to note is that once you marry your significant other, within the 90-day window, you are able to apply to “adjust status” to become a lawful, permanent resident of the United States. Down the road, years later, you’ll be able to take the steps to help your spouse earn citizenship, but that is a blog post for another time. Now, let’s take a look at the first few steps of the process, for no other reason than to give you an indicator as to how detailed and challenging a process this can be. As the U.S. Citizen sponsor, you get the honor of initiating the K-1 Visa process by filing Form 1-129F. This isn’t the most difficult form in the world to fill out (not a legal opinion), but we would advise extreme care and a thorough vetting process of everything you fill out. Accuracy is absolutely essential during every step of this process. You will send the completed Petition for Alien Fiancé(e) to the appropriate USCIS office that services your region. Please note that this form cannot be filed at a U.S. Embassy, Consulate, or any United States Citizenship and Immigration Services office outside the country. If your petition to file for the K-1 Visa is accepted (yes, you have to petition to apply), you will receive a notice that your case has progressed to the appropriate U.S. Embassy or Consulate. Assuming you’ve already shared this exciting news with your significant other, you’ll also want to inform them that there is a multi-step process to be prepared for. This includes, but is not limited to, a passport valid for travel, completed form DS-160, police certificates, divorce or death certificates, evidence of relationship, two 2×2 photographs, a medical examination, payment of fees, evidence of financial support, and any additional U.S. Embassy/Consulate-specific instructions. For more thorough instructions regarding the visa application process, visit the government’s official resource. Sadly, we are just scraping the tip of the iceberg in today’s post. Each aforementioned element has its own form, and the process doesn’t subside in rigor after the visa application is complete. The adjustment of status process and all that it entails can be confusing. Again, you do not want to guess, even if it’s an educated guess, when the stakes are this high. Genuinely: you’ll find no scare tactics here. You simply need to get it right the first time. Trust Tate Bywater Law for all of your immigration attorney needs. Whether you are in Vienna, Fairfax County, Prince William County, or elsewhere, we can help. Schedule your free consultation today!